Zack Akers and Skip Bronkie are first-rate storytellers, in every medium. 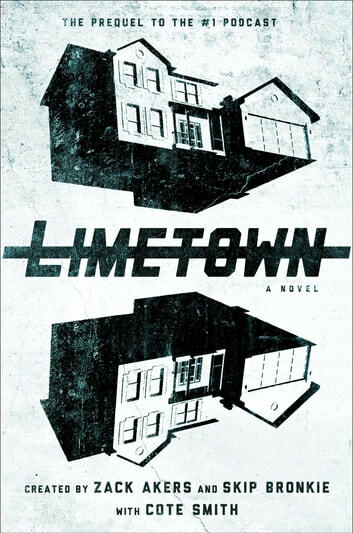 Critics called their podcast Limetown “creepy and otherworldly” (The New York Times) and “endlessly fun” (Vox), and their novel goes back to where it all began. Working with Cote Smith, a PEN/Robert W. Bingham Prize Finalist, they’ve crafted an exhilarating mystery that asks big questions about what we owe to our families and what we owe to ourselves, about loss, discovery, and growth. Threaded throughout is Emile’s story—told in these pages for the first time ever. WOW! Talk about a wild ride. 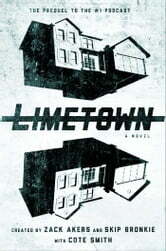 Limetown is the book prequel to a podcast that I’d never heard of. It is a head scratching, mind bending, amazing trip through the lives of Lia and Emile. Lia is Emile’s niece. Of course that’s probably the easiest thing I can explain about this book. You’ll have to read the book to get the rest. We start with Lia, in high school, writing for the school paper. We start with Emile, in high school, considered a weirdo and a loner. His only friend is his brother Jacob. Jacob and his wife Alison are Lia’s parents. There is your family tree. Along the way through Emile’s years, we meet lots of other shady and incredible characters. Emile is special. Special in a way that scares people. Special in a way that some people want to study and learn from. Special in that no one Emile’s age ever understands him. Jacob is your average teenager. Outstanding athlete, good student, caring big brother. Jacob & Emile live with their mom in Lawrence, Kansas. At least for a while they live with their mom. Eventually that relationship is broken and the boys run off to live with their aunt and uncle. Lia isn’t outstanding or special in any particular way. She does have a keen mind for investigation, however, and when she comes across her uncle’s belongings in the attic, it sends her on a mysterious tour of figuring out where he is or what happened to him. She finds out things along the way that both frighten and excite her. It’s Lia’s discoveries that cause this story to twist in ways you can’t imagine. I won’t give away much else, other than Limetown is a town that has vanished. Not the town itself, but it’s people and inhabitants. One day they are there, the next gone. Where they’ve gone is anyone’s guess. That’s one other little mystery to be uncovered. As I said, I’d never heard of the podcast, but you can bet I’m going to start listening now, just so I can uncover more secrets and surprises. Read this book. It’s fabulously written and the storytelling is simply unreal. Worth every minute.